All orders are generally shipped out the same day we receive your payment, however, during busy periods, orders may take longer to ship. We reserve the right to refuse orders we think may be fraudulent. Please also note direct debit payments are usually received by our bank the day after you have made payment. If you have chosen express post, your order will be posted out to you once payment has been received. Payments placed via direct debit on Friday or over the weekend can take up until midday Monday or Tuesday to arrive in our bank account. Your order will be shipped once we receive payment. Furless accepts payment via PayPal, Visa, American Express, Mastercard, Afterpay, zipPay, and direct deposit for those with Australian bank accounts. By joining our affiliate program, you acknowledge that you have read, understood and agree to the terms and conditions stated. furlesscosmetics.com.au reserves the right to add, delete and/or modify any of the terms and conditions in this agreement, at any time and at its discretion alone, by posting a notice announcing a change or a new agreement on the furlesscosmetics.com.au website. If you do not wish to accept a particular amendment, you only reserve the right to terminate the agreement and your participation in the affiliate program. Your continued participation in the affiliate program following notice of a change or a new agreement on the furlesscosmetics.com.au website will automatically constitute acceptance of the changes. You must use the affiliate program in a manner that demonstrates common sense and respect for the rights of furlesscosmetics.com.au and third parties. You may not use our affiliate program on any website URL that contains all or part of our products name, company name or website name. At its discretion alone, with or without notifying you, furlesscosmetic.com.au reserves the right to terminate this agreement and your participation in our affiliate program immediately, should you commit fraud in your use of our affiliate program or should you abuse this program in any way. If such fraud or abuse is detected, furlesscosmetics.com.au shall not be liable to you for any commission for such fraudulent sales. 1. Create a PayPal account for your affiliate sales to be paid into. You will use your PayPal email address when you apply as an affiliate. To create a PayPal account click here. 2. Create your affiliate account here. Sign up to a program and follow the instructions by filling out the relevant details, such as your PayPal email address. Congratulations, you have now successfully created your Furless affiliate account! 3. Now you will need to paste the code from the banners (assets) you have chosen into your site, or you can paste your link. 4. Add a link to our website on your website, blog, Facebook, Twitter or YouTube channel. To copy the code or the link, you need to highlight the section you want to copy by dragging your cursor over it, then press ctrl c. To paste the code or link into your blog or website, you need to press ctrl v. On a MAC, replace pressing the ctrl button with the command or apple key. If the visitor makes a purchase within 30 days of the first click, you'll get 10% of the sales revenue! If a conversion originated from the same IP-address as the affiliate, the sale will not be approved. You will receive 10% of the sales revenue for each product sold, excluding shipping costs. You will receive your payment via PayPal. We ensure a 30-day money back guarantee. Payment is made 30 days after the sale. You will be paid in Australian Dollars (AUD). Please note that banner content is subject to change. This includes coupons, offers, and sales. Don't see the banner size you are after? Request it! You will receive 20% OFF your orders. Bloggers must agree to post about their purchase on social media or blog/website. The code is not attached to the affiliate program and is for you to use personally. 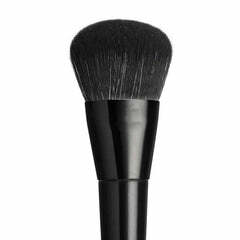 There is a limit of 1 item per brush or set, and a limit of 3 per makeup item shade. Not to be used in conjunction with other offers such as free shipping or discounts. Abuse or misuse of your codes will result in the codes being removed from your account. Publishing the codes publicly is prohibited. Furless does not accept requests for payment for product reviews. Furless does not offer compensation for banners or coupon codes placed on your website, blog or YouTube channel unless it is via the official affiliate program. Prizes are to be claimed within 30 days of the announcement. Furless will not accept abusive or defamatory behaviour directed at staff either by phone, email or via social media. Any persons found to be insulting, insinuating, abusive, or acting aggressively towards Furless on social media will be blocked. Customers found to be acting in an aggressive, defamatory, or abusive manner will have their orders refunded and cancelled, and their registration denied. PO Box 202 Ourimbah NSW 2258 Australia.